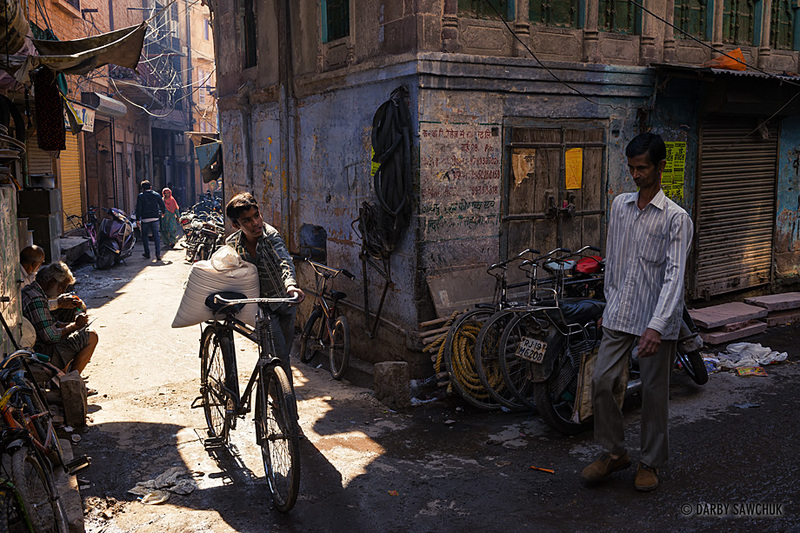 It’s disingenuous to call this a gallery of photos from India. In truth, it’s a gallery of Rajasthan plus a small sliver of Uttar Pradesh. 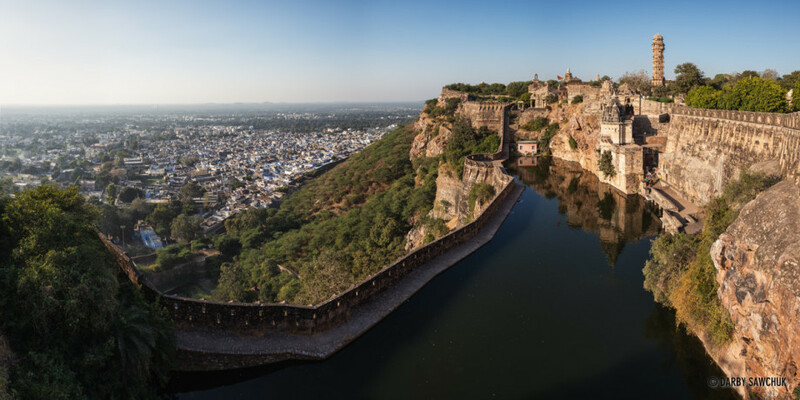 In this comparatively small area, the diversity of landscape, culture, and experience suggests that the wider reaches of India would be even more varied. 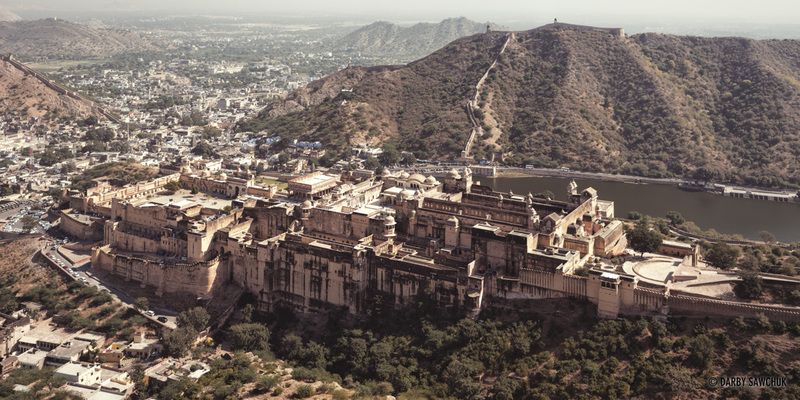 Densely-packed cities, usually centred around colossal forts, speckle the desert. Within, architectural and historical wonders stand proudly amid turbulent streets choked with traffic of all types. Successfully navigating the chaos rewards anyone daring enough to try and who knows what exquisitely-spiced meal, vibrantly-patterned garment, or strange vista will surprise you at the end of an alleyway clogged with a herd of cows. The faint of heart can easily escape the urban centres and find peace in landscapes almost as crowded, but here, it’s the wildlife that will greet you at every turn. 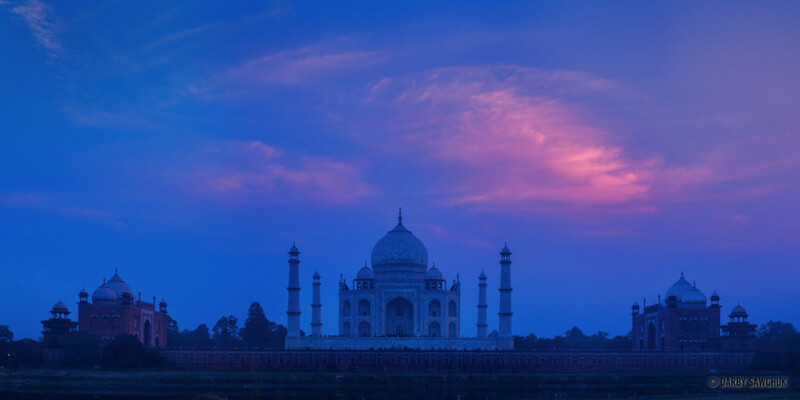 And when you do find that brief moment of silence, it’s all the more treasured for its contrast with India’s incomparable and somehow endearing pandemonium. 02. 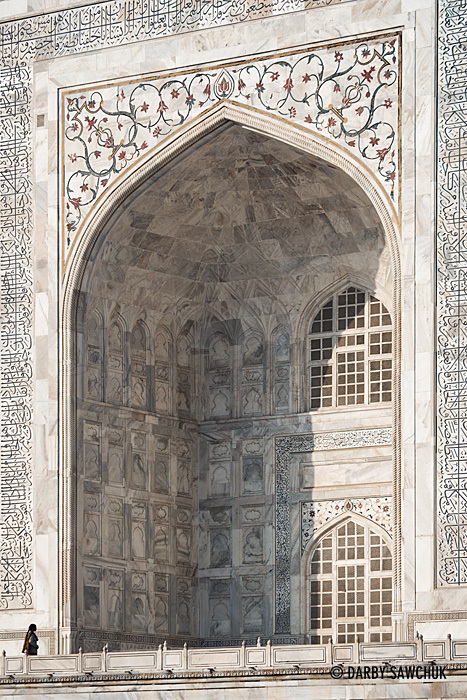 A woman gazes up at the eastern iwan and pishtaq of the Taj Mahal in Agra, Uttar Pradesh, India. 03. 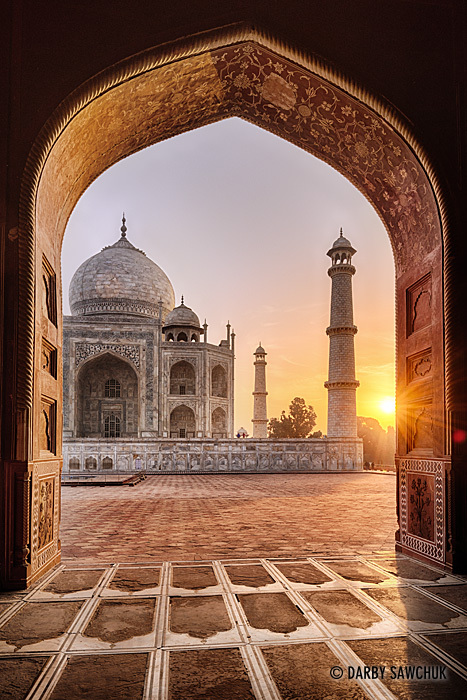 The sun rises behind the Taj Mahal as viewed through one of the arches of the nearby mosque. 04. 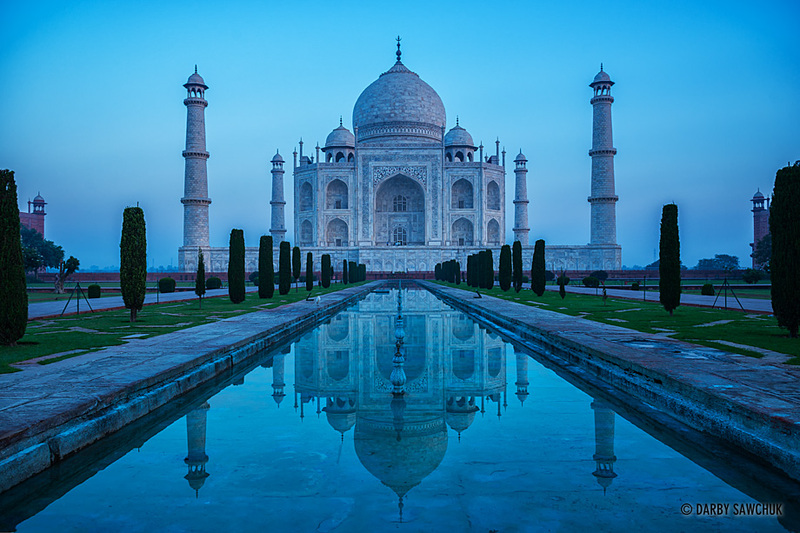 The classic view of the Taj Mahal mirrored in its reflecting pools. 05. 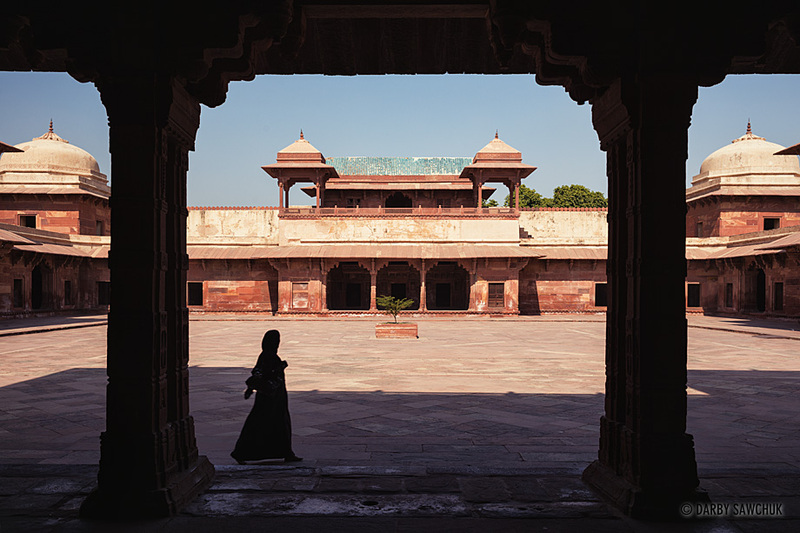 The courtyard of the Palace of Jadh Bai at Fatehpur Sikri in Uttar Pradesh, India. 06. 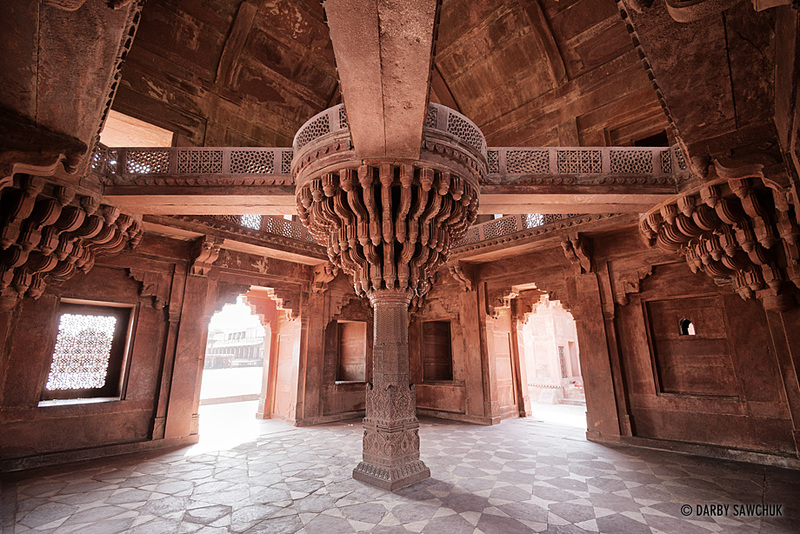 The interior of Diwan-i-Khas at Fatehpur Sikri in Uttar Pradesh, India. 07. 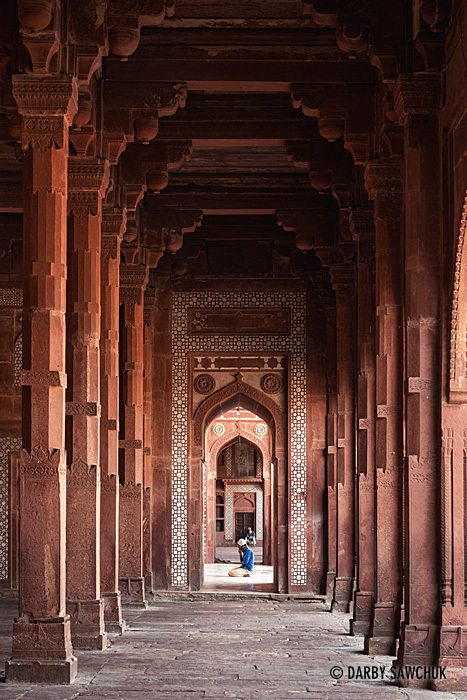 A man prays at the end of a colonnade inside Jama Masjid, near Fatehpur Sikri. 08. 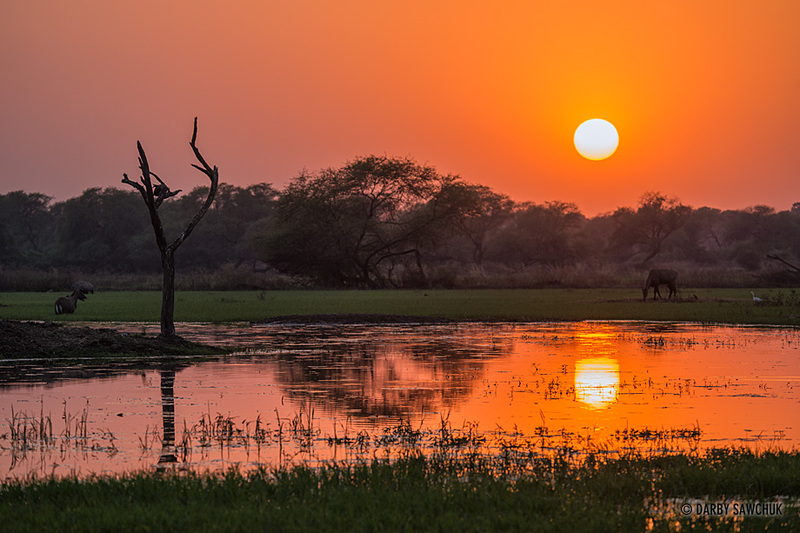 Wildlife basks in the sunset glow near a marsh in the bird-watching paradise of Keoladeo Ghana National Park near Bharatpur, Rajasthan. 09. 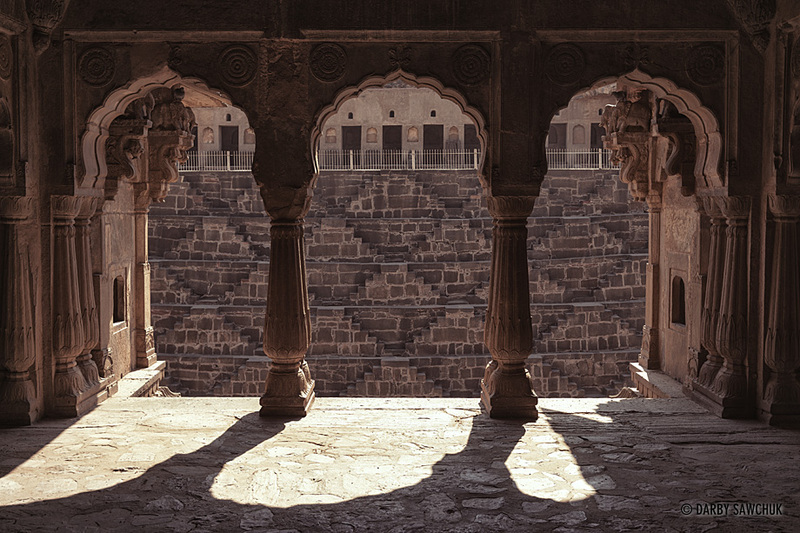 The view out from the pavillion in the Chand Baori Stepwell in the village of Abhaneri near Jaipur in the Indian state of Rajasthan. 10. 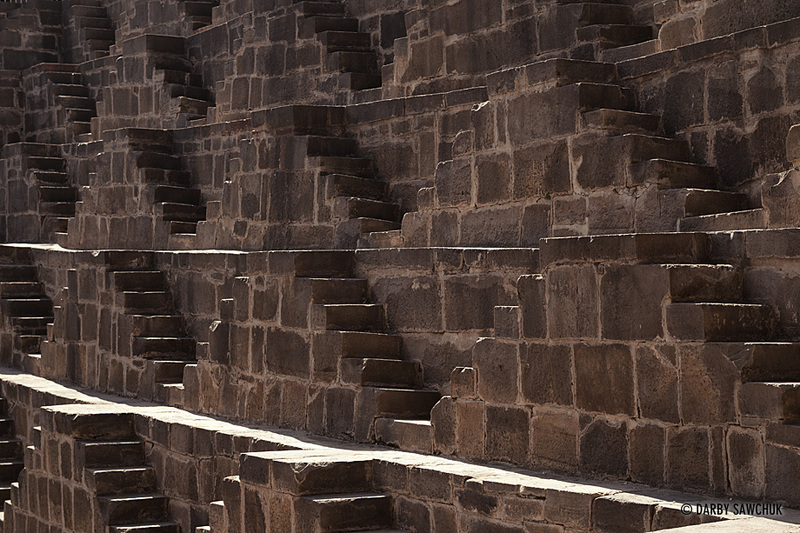 Patterns of stairs in the Chand Baori Stepwell in the village of Abhaneri near Jaipur in the Indian state of Rajasthan. 11. 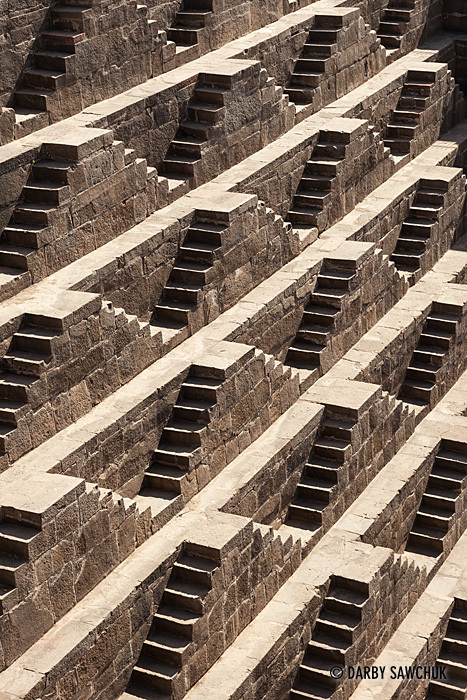 Patterns of stairs in the Chand Baori Stepwell in the village of Abhaneri near Jaipur, Rajasthan. 12. 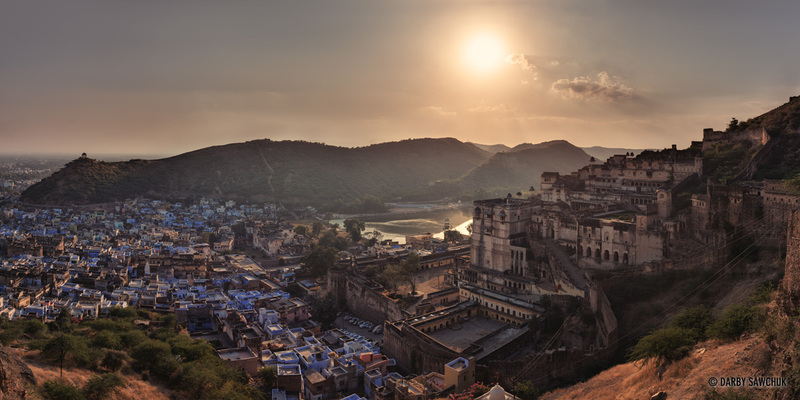 The honey-coloured walls of the Amber Fort near Jaipur as viewed from Jaigarh fort. 13. 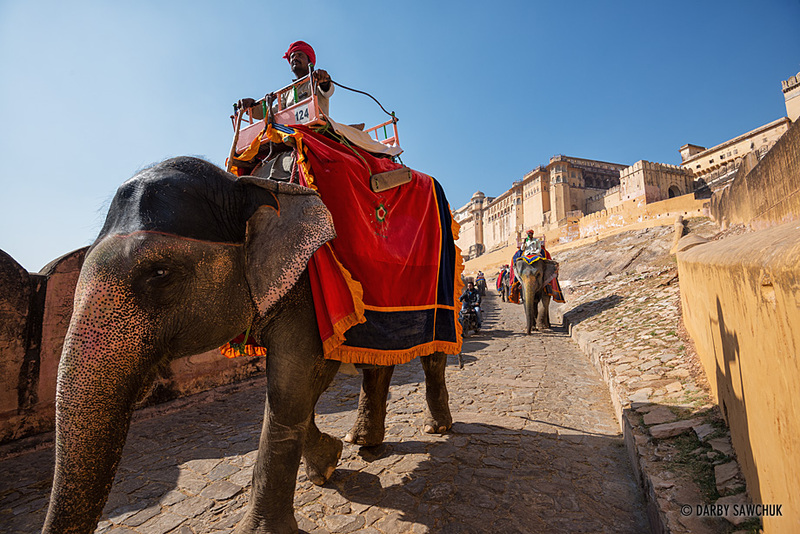 Elephants used to transport visitors up the path to the Amber Fort descend to pick up new passengers. 14. 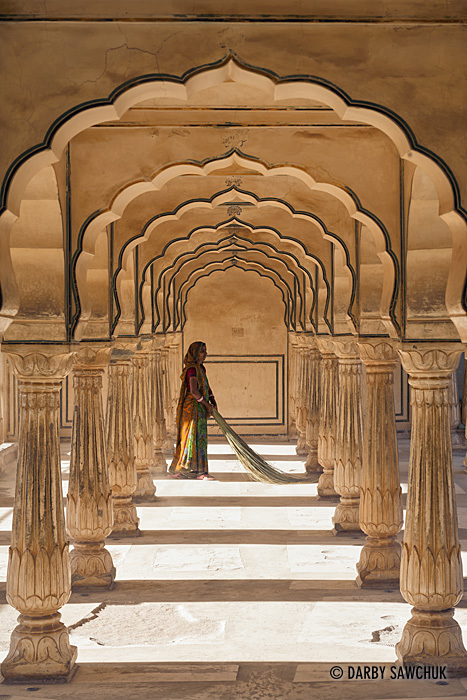 A woman sweeps beneath archways in the Amber Fort near Jaipur, India. 15. 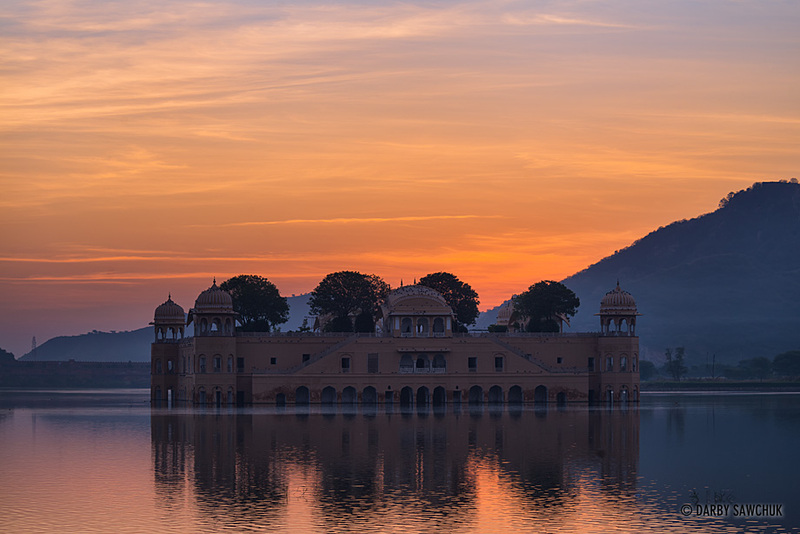 The sun rises over Jal Mahal, the Water Palace at the centre of Man Sagar Lake in Jaipur, India. 16. 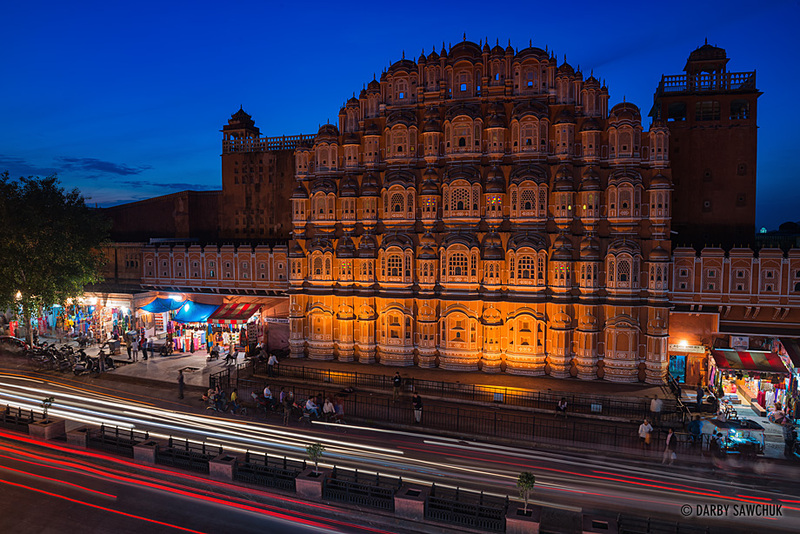 Jaipur traffic speeds past the Hawa Mahal, the Palace of Winds at dusk. 17. 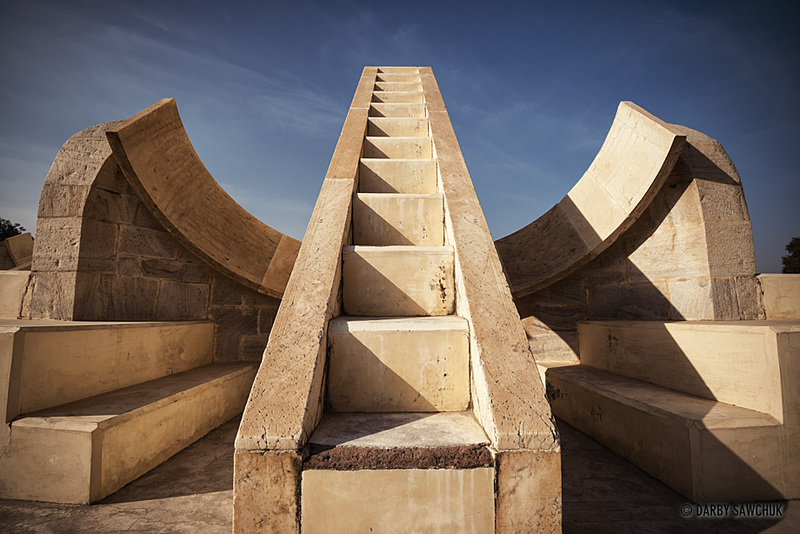 An astrological devices for tracking constellations at Jantur Mantar, a park devoted to the astronomical pursuits of King Sawai Jai Singh in Jaipur. 18. 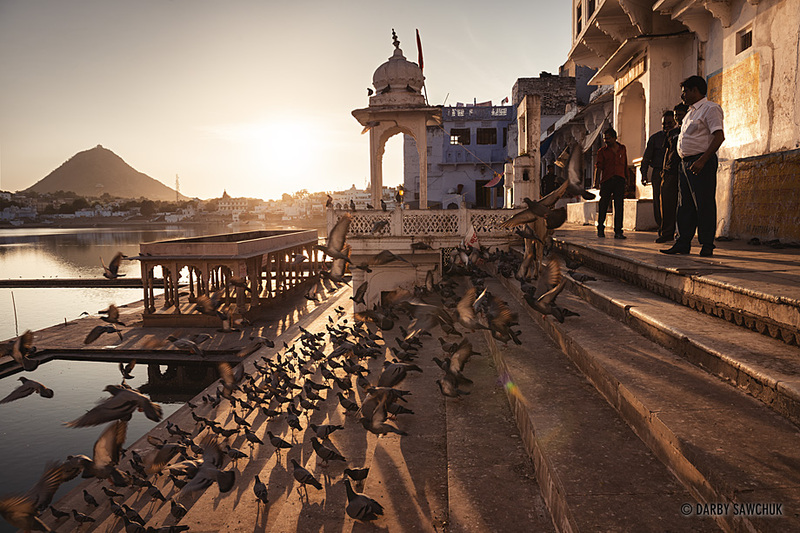 Pigeons crowd the steps of Varah Ghat on the edge of Pushkar Lake in the town of Pushkar, near Ajmer. 20. 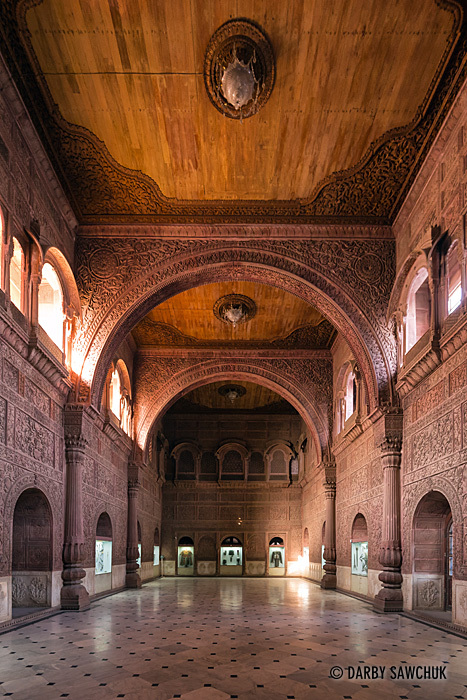 The Durbar Hall inside of Junagarh Fort, in Bikaner in Rajasthan. 21. 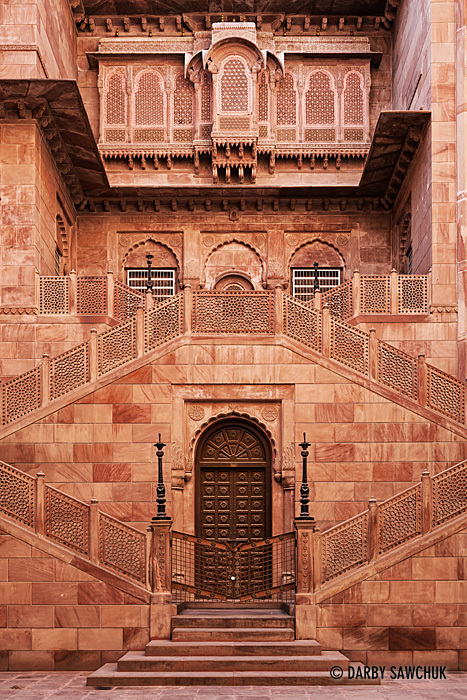 Symmetrical stairways are topped by intricate screens at Junagarh Fort, in Bikaner, Rajasthan. 22. 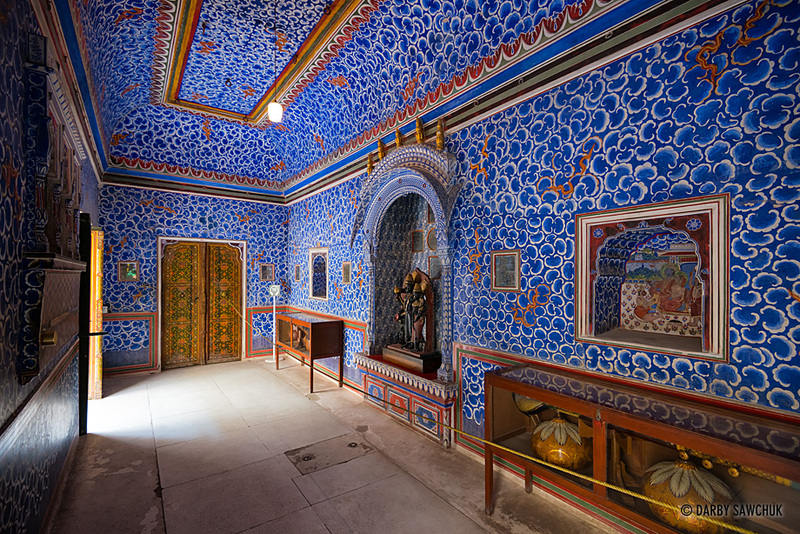 The Badal Mahal inside of Junagarh Fort, in Bikaner, Rajasthan. 23. 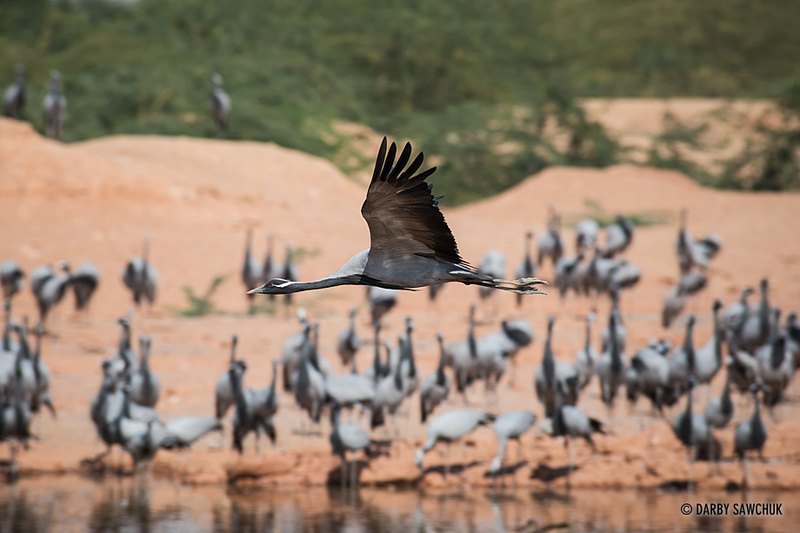 A demoiselle crane soars over a pond in the desert village of Khichan, Rajasthan. 25. 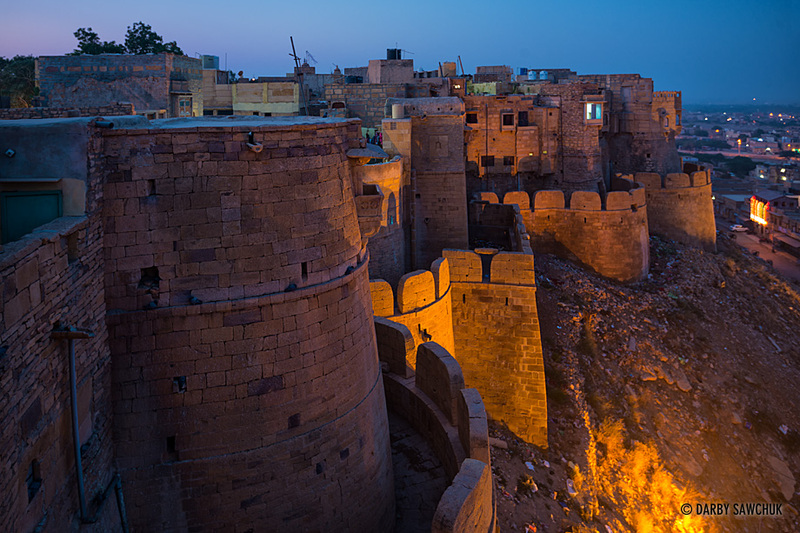 The towers and walls of Jaisalmer fort before dawn. 26. 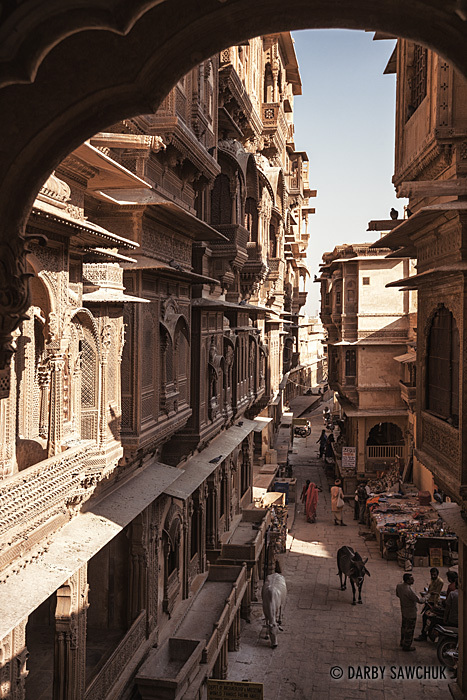 Intricate stonework covers the Patwa-ki-Haveli in Jaisalmer, India. 27. 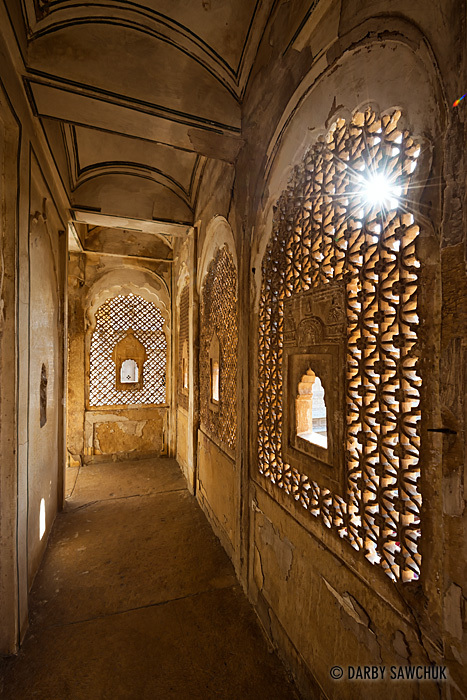 The sun shines through a stone screen in Jaisalmer Palace. 28. 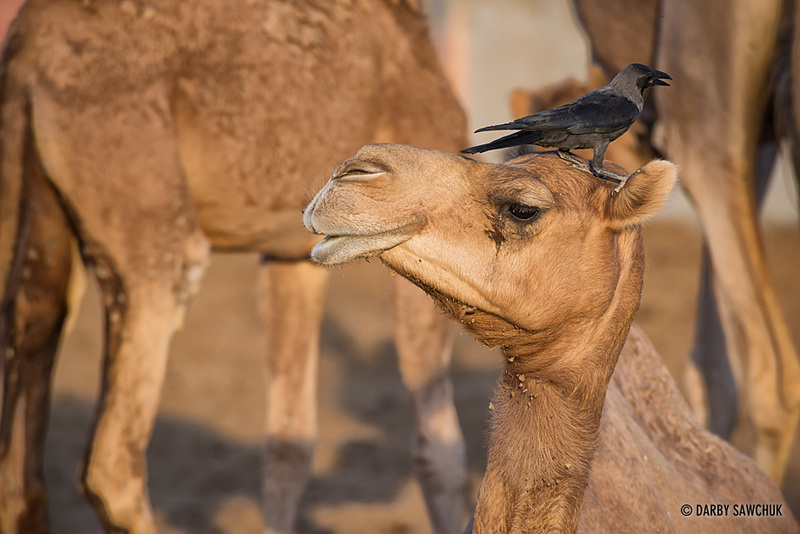 A crow perches atop the head of a young camel at the National Research Centre on Camels near Bikaner, India. 29. 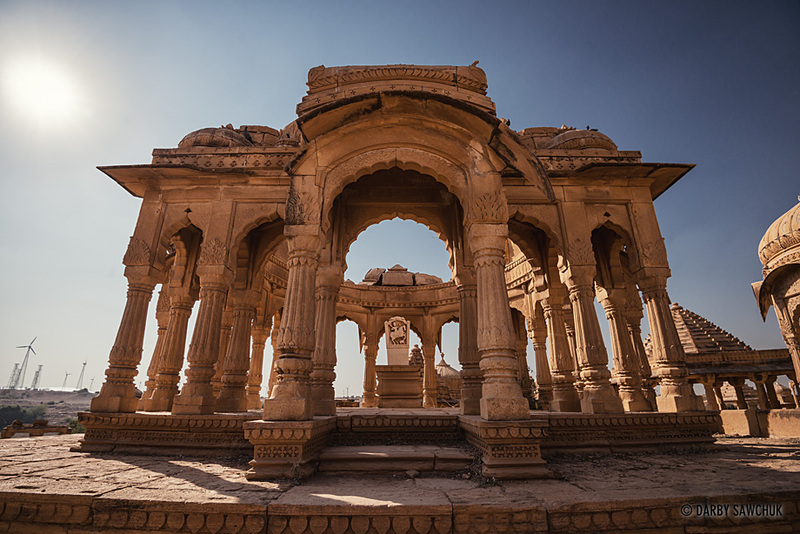 A royal cenotaph at Bada Bagh, a complex near Jaisalmer, Rajasthan, India. 30. 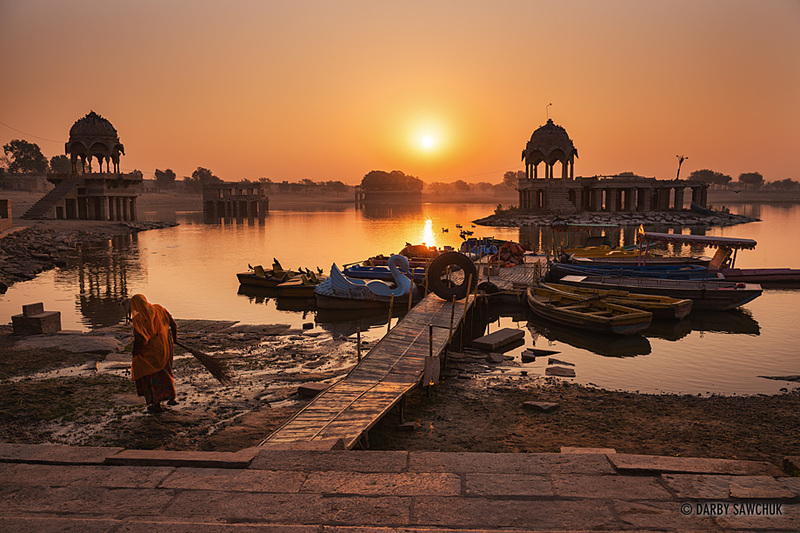 Temples and shrines cluster around Gadsisar Lake in Jaisalmer at sunrise. 31. 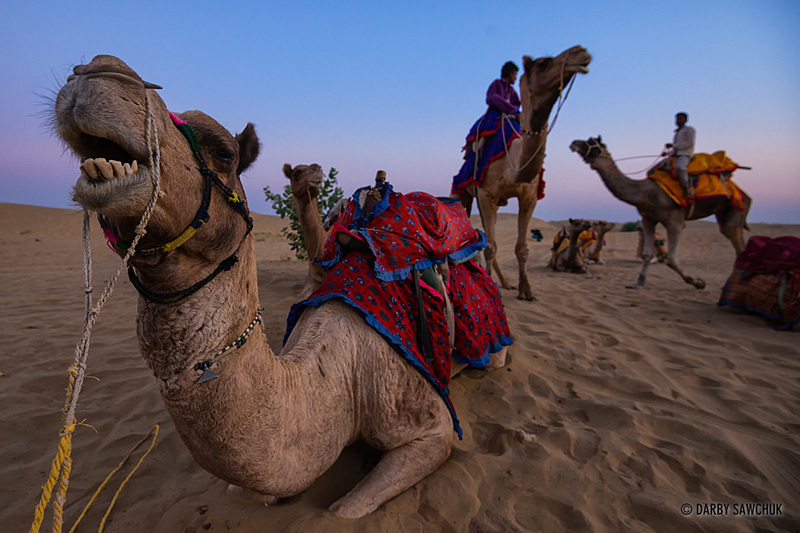 Camels rest after carrying tourists through the Sam Sand Dunes in Western Rajasthan. 32. 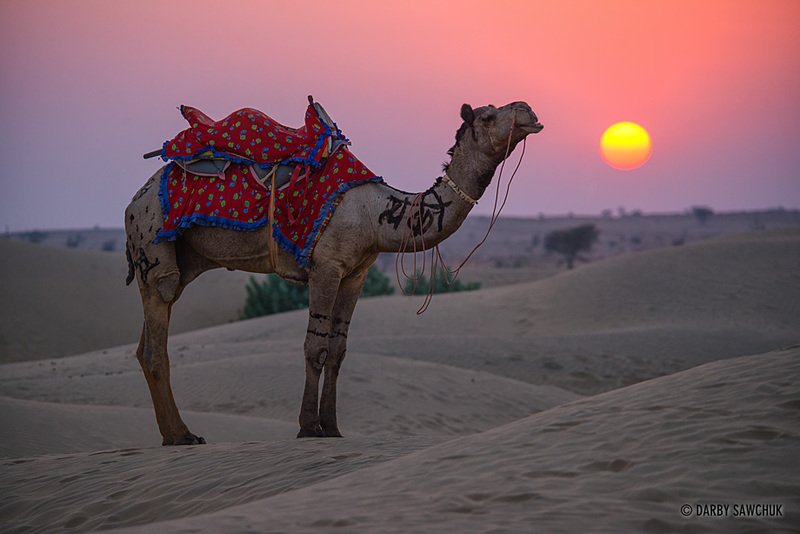 A camel stands in front of the sunset at the Sam Sand Dunes in Western Rajasthan. 33. 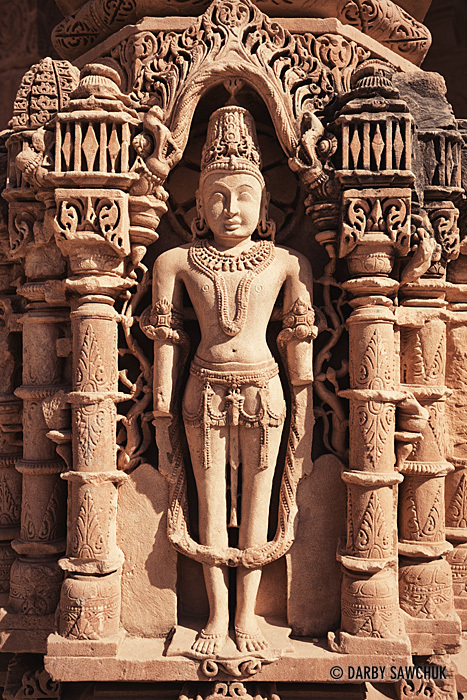 A detailed carving decorates one of the columns at the Jain Mahavira Temple in Osian. 37. 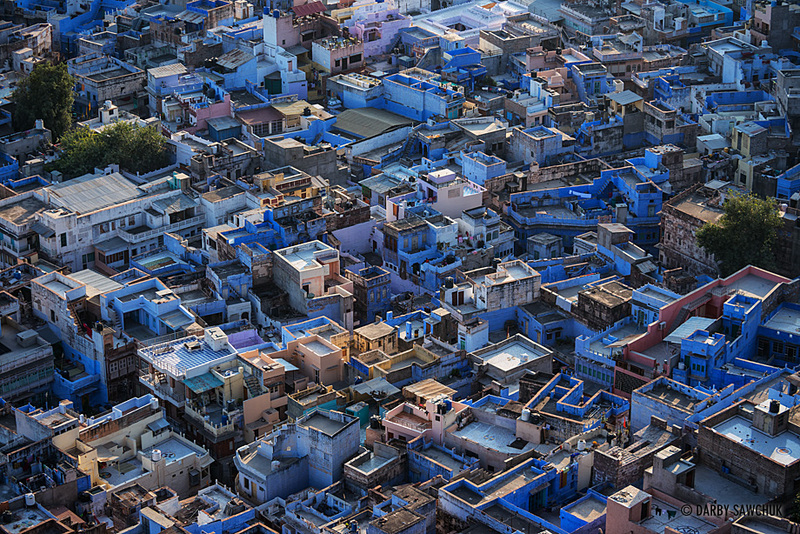 The densely-packed, blue-tinted buildings of Jodhpur, Rajasthan. 38. 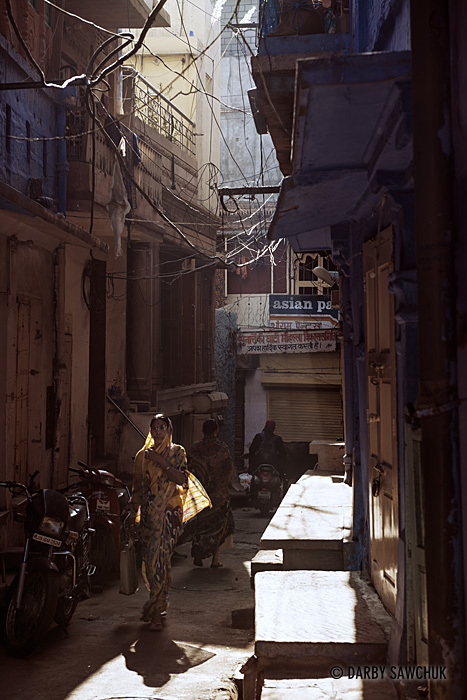 A woman walks through a narrow alley in Jodhpur. 39. 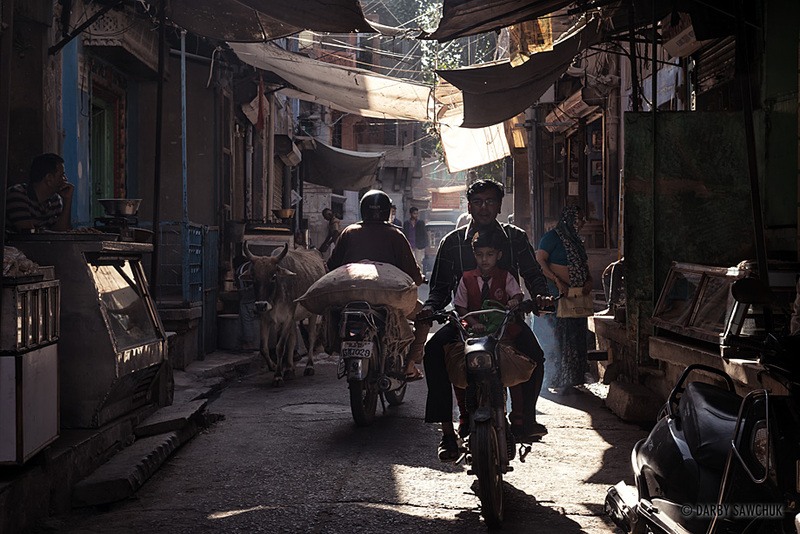 Traffic of various types mix on the streets of Johdpur, India. 40. 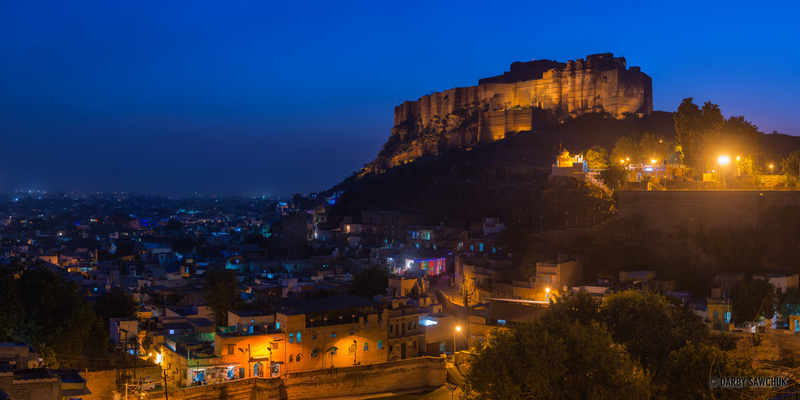 The streets of Jodhpur India. 41. 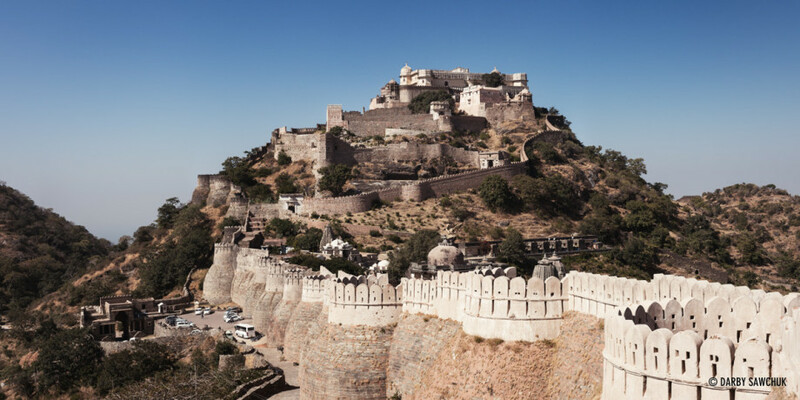 The formidable walls of and the hilltop fort at Kumbhalgarh (Click for a larger image.). 42. 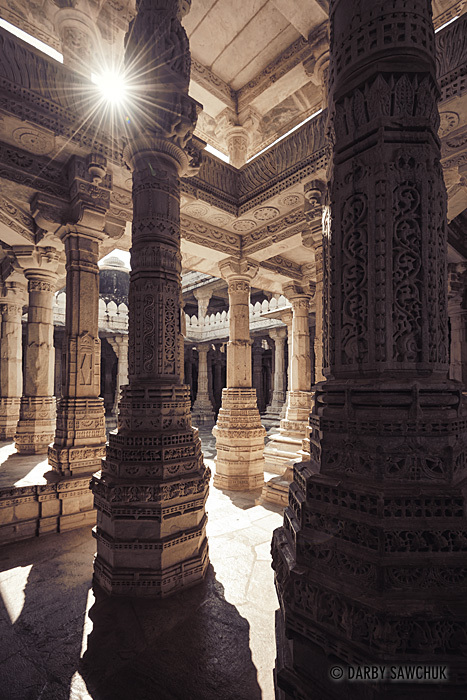 Sunlight peeks between the ornate marble columns inside the Jain temple in Ranakpur. 43. 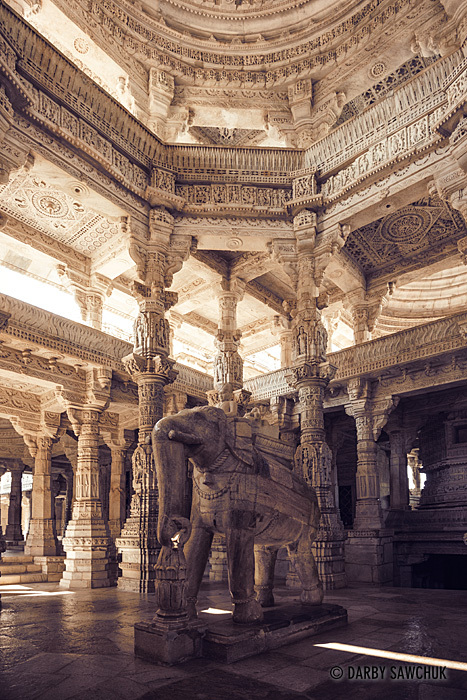 A marble elephant statue stands amid the unique pillars of Ranakpur’s Jain temple. 45. 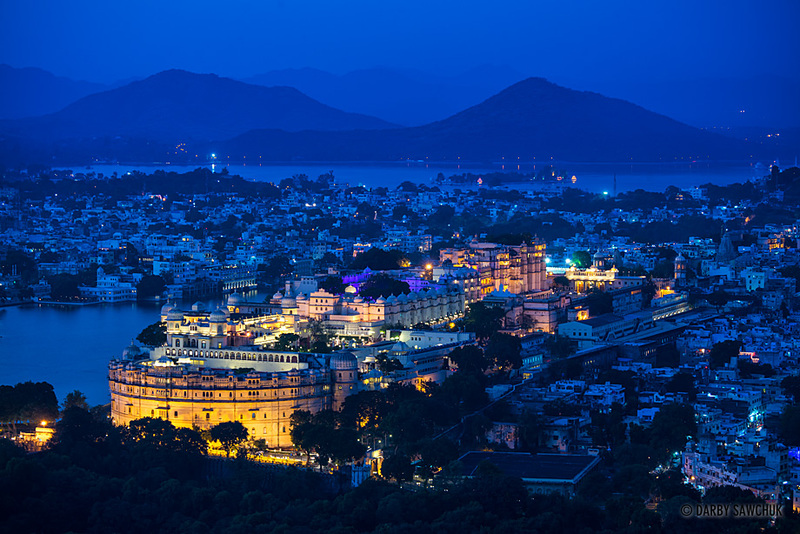 The City Palace of Udaipur at dusk. 46. 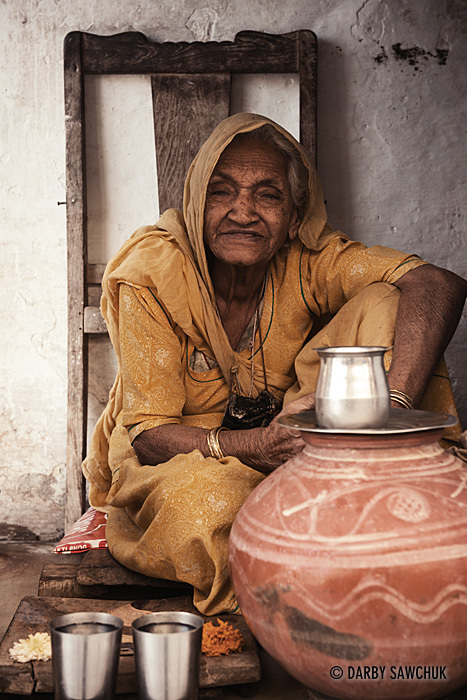 A woman serves tea at the Jagdish Temple in Udaipur. 47. 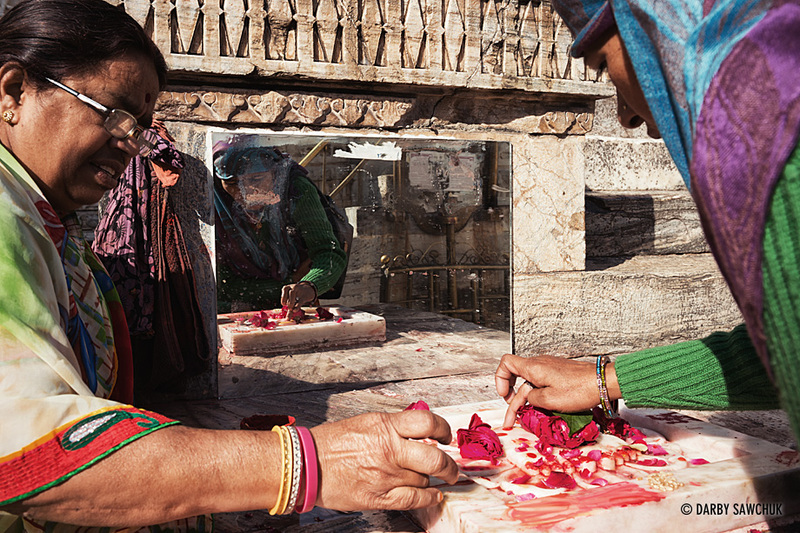 Hindus worship at the Jagdish Temple in Udaipur. 48. 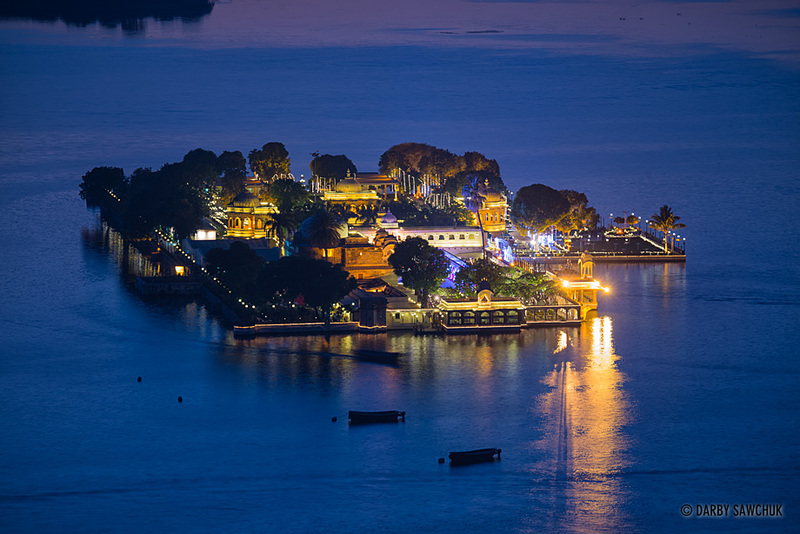 The Lake Garden Palace, Jag Mandir, on Lake Pichola in Udaipur at night. 50. 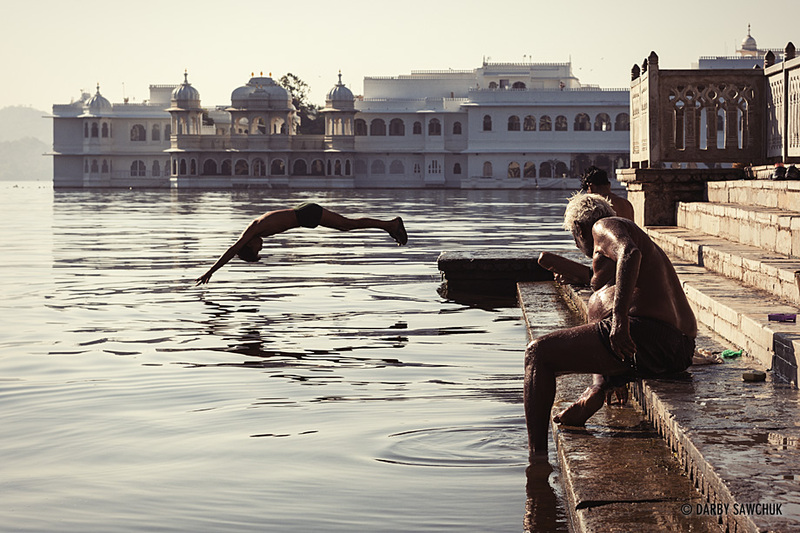 A man dives into the water of Lake Pichola from the Dhobi Washing Ghat in Udaipur. 54. 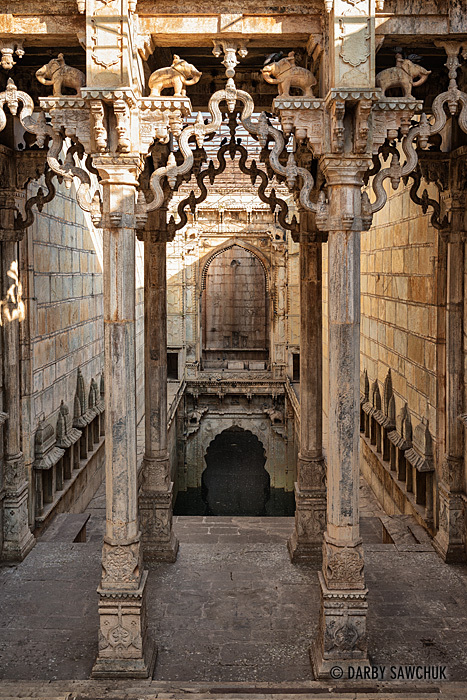 Inside the Raniji ki Baori, also known as the Queen’s Stepwell in Bundi, Rajasthan. 55. 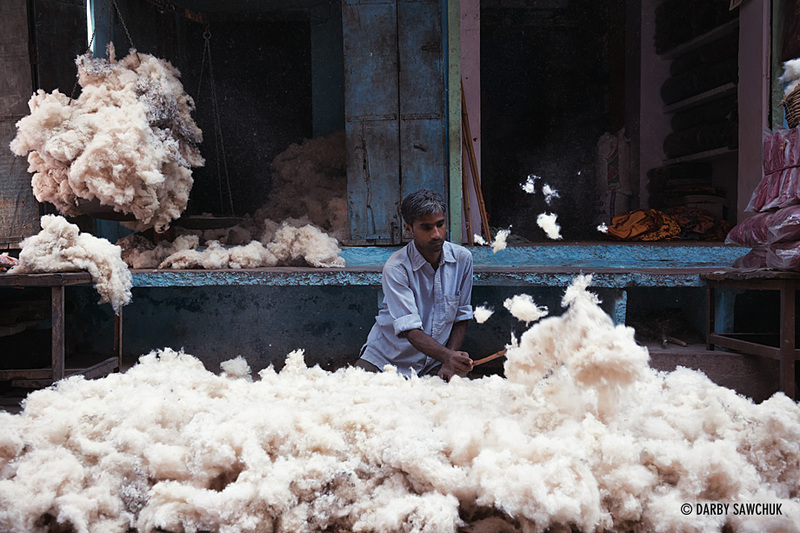 A man fluffs cotton to bundle into mattresses on the streets of Bundi. 56. 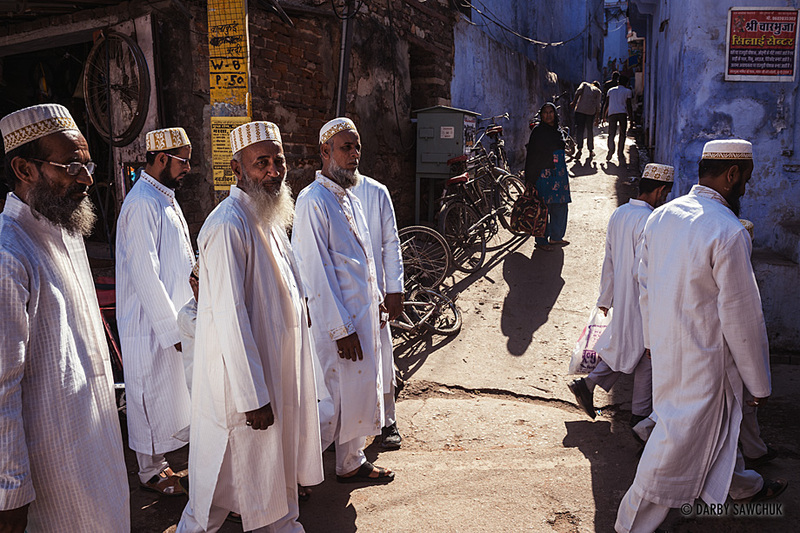 A group of men follow a procession towards a Muslim wedding in the streets of Bundi, India. 57. 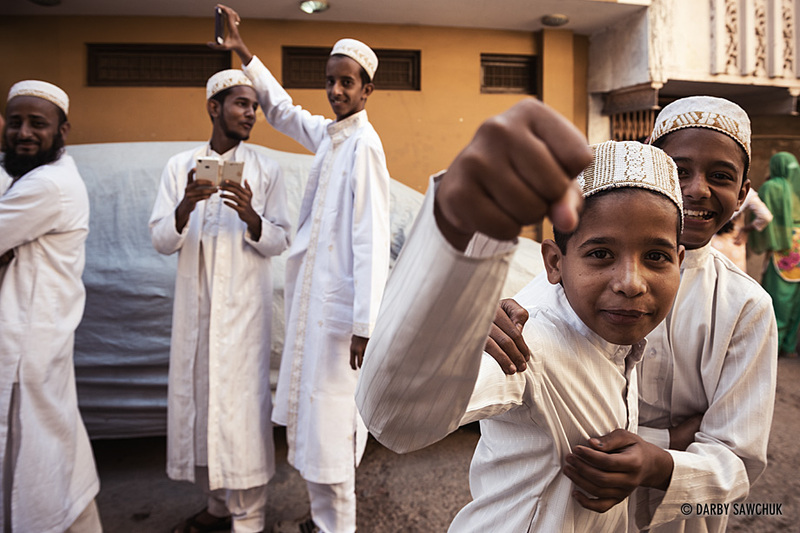 Children mug for the camera outside of a Muslim wedding in Bundi. 58. 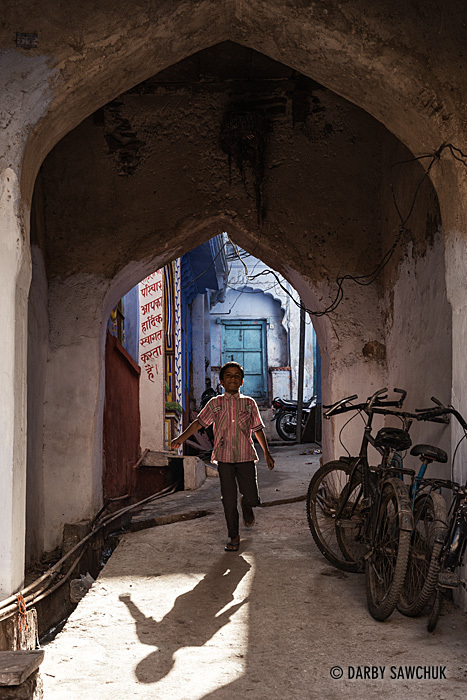 A boy runs down one of the narrow alleys of Bundi. 59. 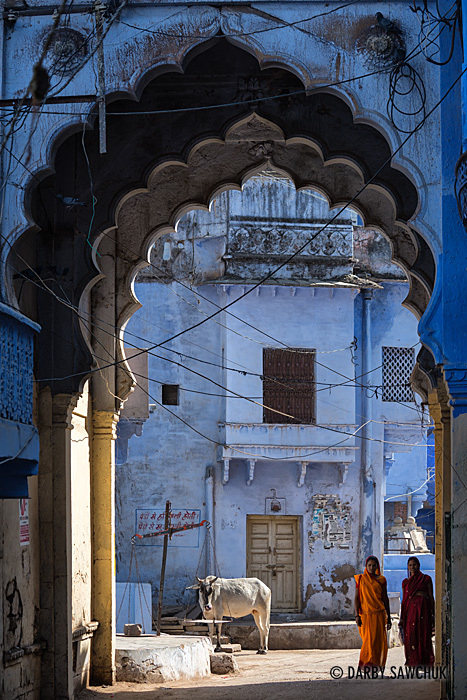 A blue-tinted archway towers over a street in Bundi, Rajasthan. 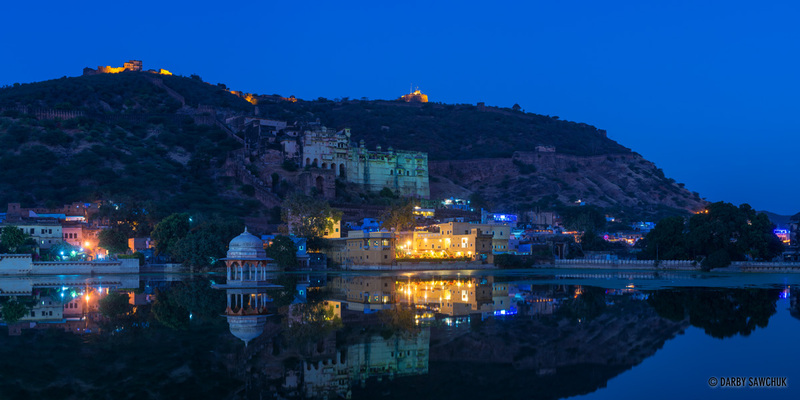 Keywords: photos of india, images of india, pictures of india, india, indian, landscape photography, travel photography, rajasthan, uttar pradesh, architectural photography, fine art prints, stock photography.